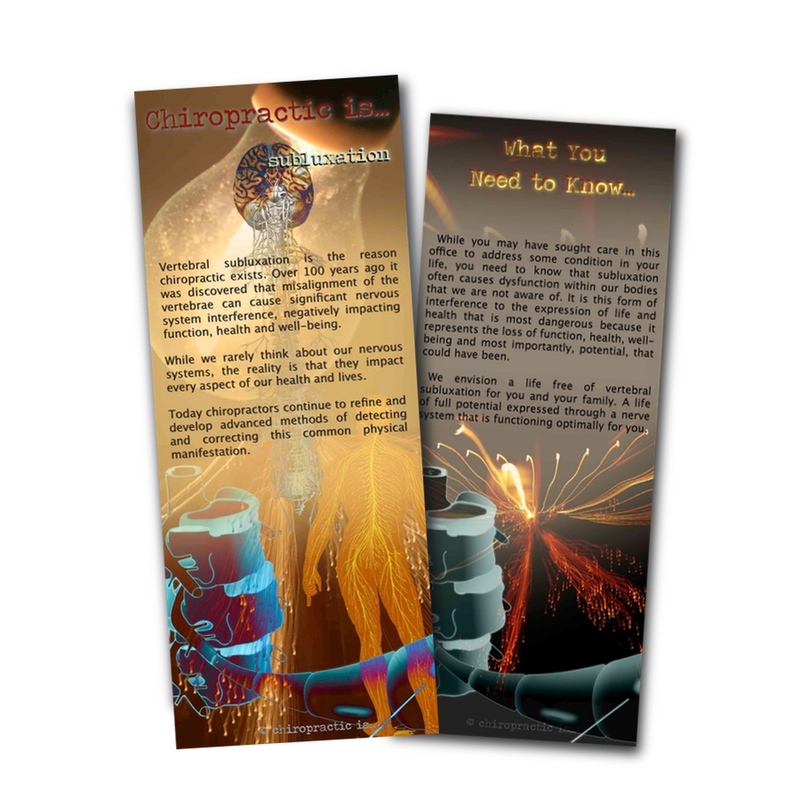 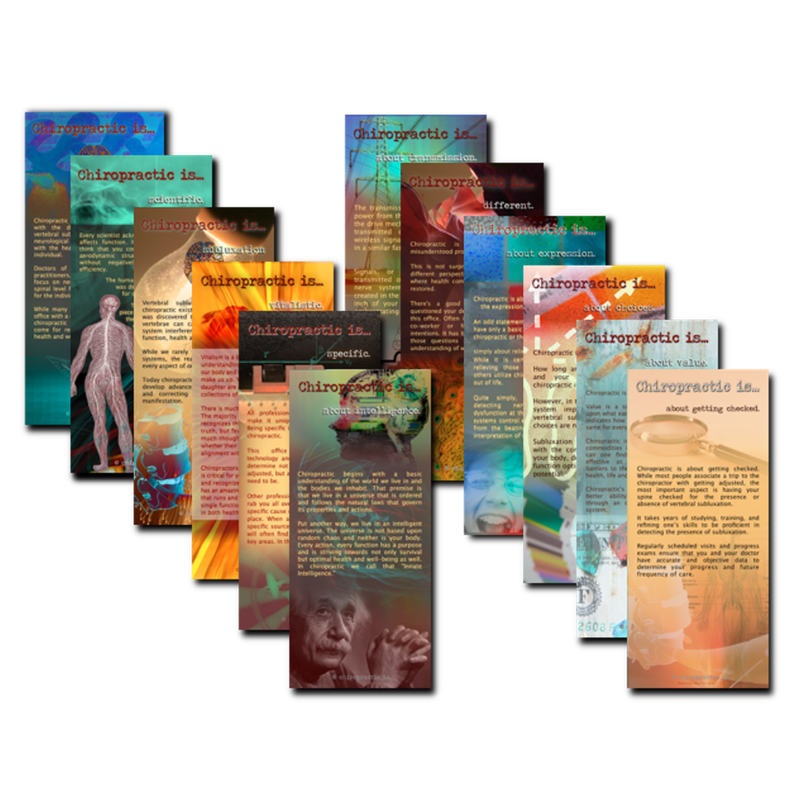 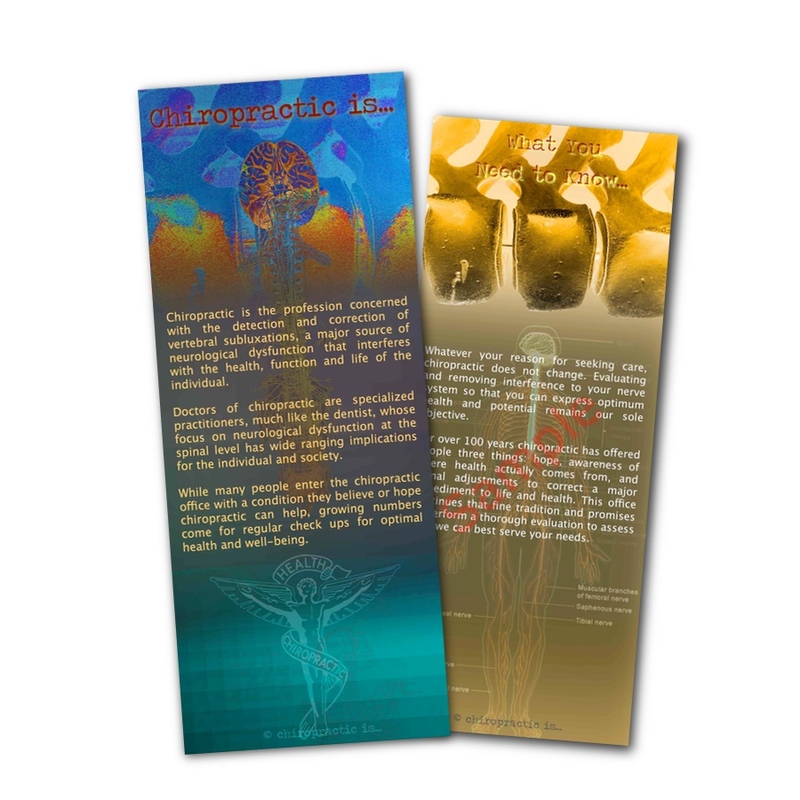 The chiropractic is… specific brochure provides an opportunity to emphasize that you are searching for the specific source of nerve interference occurring as a result of subluxation and interfering with their optimum health, function and well-being. 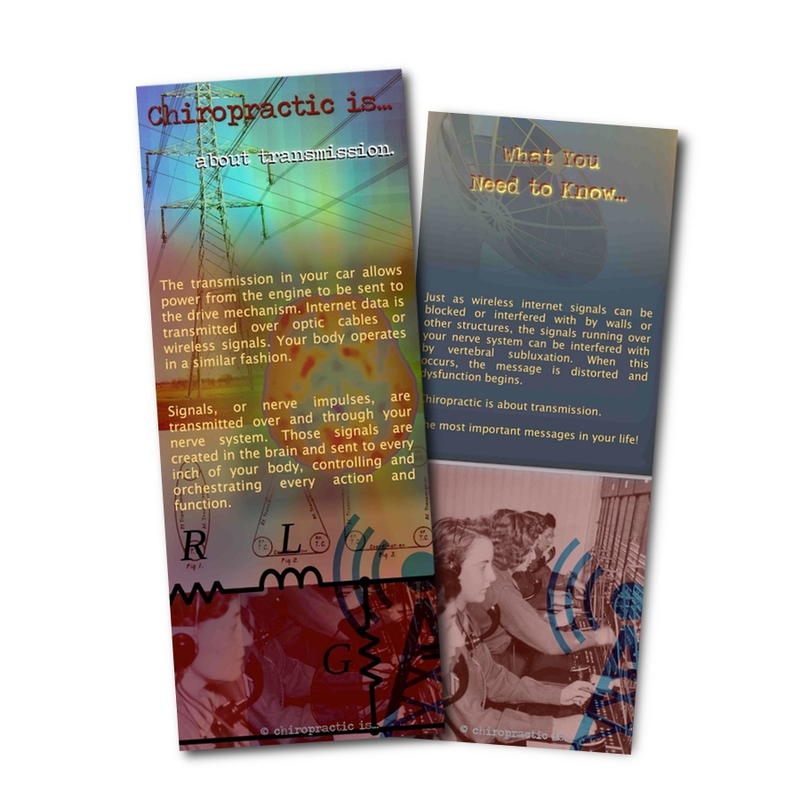 At a time when practice members may begin to question why you are only adjusting their upper neck, a gentle yet firm reminder is provided to keep your practice members back on task. 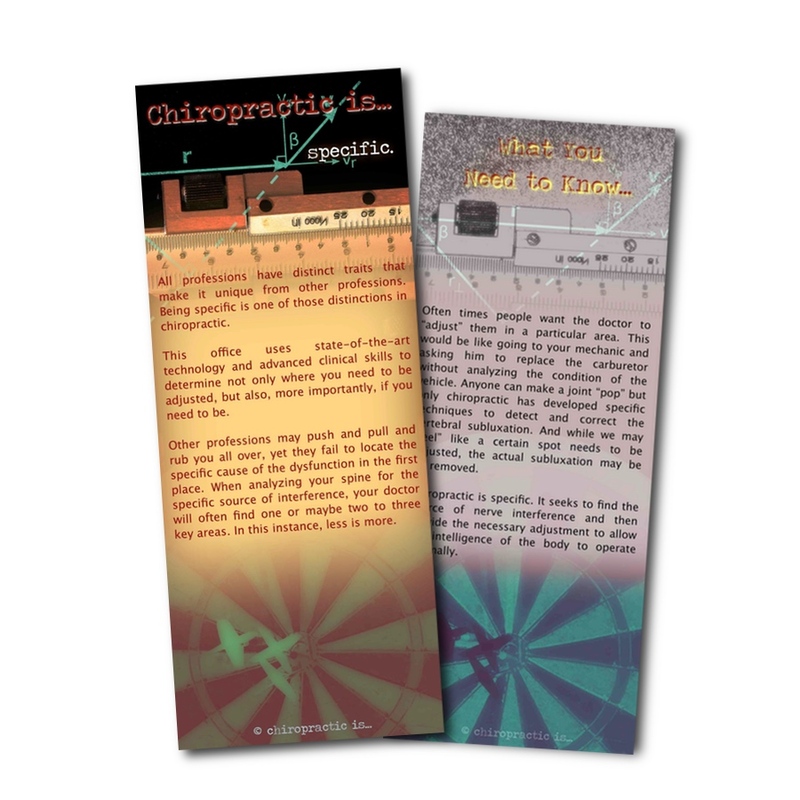 It also allows the doctor to address the common questions we all dread to hear, “Doc, can you push right here?” or, “Doc, I don’t think you got it.” Before you run them out of the office, use this opportunity to discuss the specificity of chiropractic, our distinct differences from other professions, and the possible remote nature of subluxation from potential symptoms of the practice member.